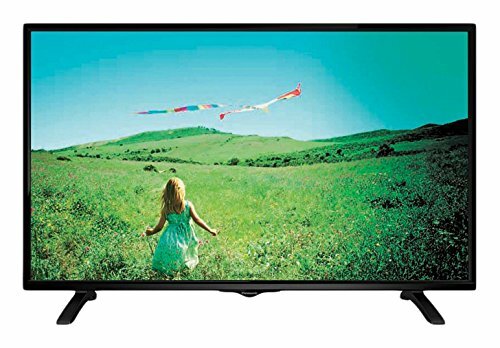 If you are done with your old Tv and want to get a good medium sized LED Tv at your home or anywhere else, then you are at the correct place as today I will tell you the 3 Best 32 Inch LED TVs.So, there are many TV vendors out there but today will help you to decide the best one for your use.There is not much difference between LCD and LED, the only difference is LCD uses Cold Cathode fluorescent lights instead the LED TVs use Light-Emitting Diodes.But nowadays LED TVs are also known as LED Backlight LCD Television.So without wasting any more time let’s get started with 3 Best 32 Inch LED TVs (October 2017). Samsung 32K5100 is semi edge slim with a louvre design.This LED TV iconic design and is protected all around.It has Full HD 32-inch display, which is of a quite a good size.This TV offers a resolution of 1080 x 1920 Pixels.The TV weighs around 4.8 KG and comes with the dimensions 721.4 x 465.2 x 78.0 mm.This TV has a crystal clear picture Quality.This TV has the HyperReal picture engine which does a good job.It as a motion rate of 50.PQI(Picture Quality Index) of this TV is 200.This TV has an Optimized sound quality.Yes, it has Dolby Digital Plus and DTC Codec.The speaker type on the Samsung 32K5100 is 2CH(Full Range SPK).The sound output(RMS) rate is 10 Watts + 10 Watts and it does not have a woofer.The Data broadcasting is done though MHEG 5.It has 2 HDMI ports and 1 USB port.The Samsung 32K5100 has a single core processor.The max power consumption by this TV is 59 watts and it has a refresh rate of 60Hz. The only Con of Samsung 32K5100 is that it is not a Smart TV but if you are looking for a TV which is not a SmartTV, then this would be one of them.Let’s move on to the list of Best 32 Inch LED TVs. 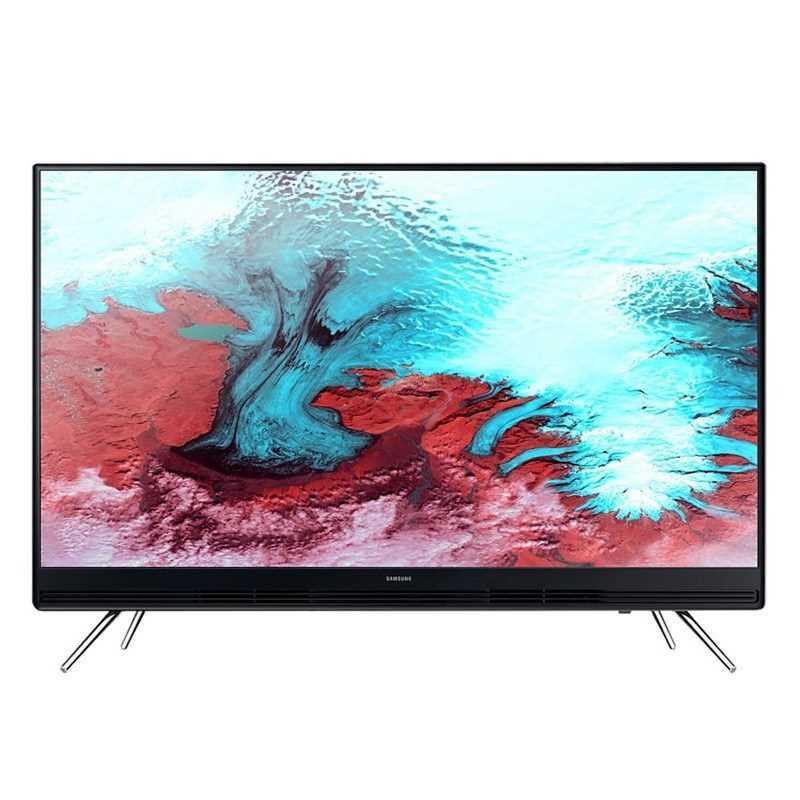 This Panasonic Tv has an eye-catching look on the user and a FullHD 32-inch display.The dimensions of this TV are 910 x 563 x 198 mm and it comes in black color.This TV comes with a resolution of 1920 x 1080 pixels and weighs around 7Kgs without the stand.It has an aspect ratio of 16:9 and has a refresh rate of 60.The LED backlight type on this TV is Direct LED.The angle of horizontal and vertical viewing of this TV is 178 Degrees.The image format supported by this TV is JPEG(JPG) and the video formats supported are MPEG-2, MPEG-4, and DivX HD.The voltage requirement is 110-240 Volts and the frequency requirement is between 50-60Hz.It has 2 HDMI and 2 USB ports where the USB port supports image, video, and audio.The audio format supported is MP3 and Audio Output by speakers is 10 W + 10 W.It also has one VGA input port and Mobile High definition is not enabled.The type of remote is RF full form is radio frequency. If you want a TV with an amazing design, which is lightweight, FullHD display and a good amount of different ports then this is the TV to be taken into consideration.Let’s move to the last TV on our list of Best 32 Inch LED TVs. This Tv has a Slim Edge Mold design which looks prominent.It has a FullHD display with a resolution of 1920 x 1080 Pixels.The TV weighs around 3.7Kgs and it has the dimensions 741 x 436.2 x 69 mm without the stand.This TV has a HyperReal picture which does a good job.This TV has Wide Color Enhancer and film mode in it, which is good.This Tv provides you with clean and clear audio.Yes, it has Dolby Digital Plus and DTS Codec.PQI(Picture Quality Index) is 200.It does support Bluetooth audio.You can also mirror your smartphone to the TV using the WiFI direct feature available on the TV.You can also get the TV audio in your phone through Bluetooth and put headphones for self-entertainment or else you can use Bluetooth headphone or earphones directly.The max power consumption by this Tv is 59 W.The Energy efficiency of this TV is 3 and it has the ECO sensor present in it.This Tv also has some additional features like Picture in Picture mode, Game mode, Teletext, Digital clean view, Auto channel search and many more features.It has 2 HDMI ports and 1 USB port.The data broadcasting is done through MHEG 5. When compared to Samsung 32K5100 it weighs much lesser, has Bluetooth audio, in this you can mirror your phone to the TV, and many others.We are done with our list of Best 32 Inch LED TVs. We have bunch more of 32 inches LED TVs but I picked these three to be picked on my list of Best 32 Inch LED TVs as I liked them.You can compare these TVs with the other in this range and find the best one for your place.Its Aashish here signing off, see you in the next one.